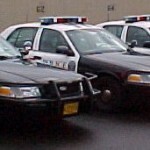 Law Enforcement Saving Lives And Money | Thermal Technology Services Inc. Thermal Cycled brakes for Law Enforcement are essential, not only as a cost savings measure but more importantly to save lives. 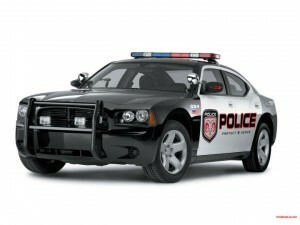 A police car in chase may reach speeds of 120 mph which puts a heavy strain on the braking system. Stopping and maneuvering at high speeds can cause cracks in the rotors and pads requiring immediate replacement. The Thermal Cycling process increases the brake life expectancy 2 to 4 times and reduces swerving, skidding and fading, all of which can save the vehicle and officer from a roll or crash. The Thermal Cycling process is done in a chamber where the brake parts are subjected to very cold temperatures and then less cold temperatures which change the brake metal at the molecular level. This molecular reorganization optimizes the brake metals particulate structure, maximizing the density and uniformity of the brake while minimizing its imperfections and faults. The optimized structure greatly improves energy conductivity and heat distribution. Even new brakes, straight from the factory, have imperfections and flaws at the molecular level. These are the imperfections that constrain the ability of the brake to withstand the excessive pressure and heat in the extreme conditions need in the police car. Mack Vines – Former Chief of Police of St. Petersburg FL, Cape Coral FL, Charlotte NC & Dallas TX. The law enforcement officer hits the vehicle brake to maneuver or stop at high speed. The metal in the brake is place under stress. Metallic stress is the degree of pressure that metal can absorb. Even the most expensive mass manufactured brakes contain flaws and imperfections at the molecular level, which is the limiting factor is stress absorption. The more flaws that exist, the more swerve or skid or tendency to fade and fracture. Metal is only capable of so much stress before it cracks or warps. As an example, take a paper clip and bend it back and forth putting the metal under stress. As that metal surpasses its stress tolerance point, it will brake. The molecular structure was only designed for that much stress. Put that paper clip through Thermal Cycling, and it will last 2 to 4 times longer! The same with brakes. The particle structure becomes denser and tighter, maximizing the metals ability to absorb even more stress that originally designed. The flaws and imperfections have been reduced. Brake fade is also eliminated. After an office pumps his brakes at very high speeds, say 5 or 6 times, the brake is gone. It glazes over from excessive heat and only heroic efforts by the officer with two feel on the brake pedal will slow the car. Fade is eliminated with Thermal Cycling. Thermal cycling does not change the brake look to the naked eye, nor does it change the dimensions, weight or appearance. Only the molecular structure of the metal inside has changed, creating a longer lasting brake with greatly enhanced performance capabilities, all at greatly reduced costs!